It is essential for any organisation to keep a tab on expenses. For this, various expense reports are required to be drawn at various levels and instances. The reports help to keep a watchful eye on the expenses being incurred by the different people in the organisation. It also helps to point out any wasteful expenditure. 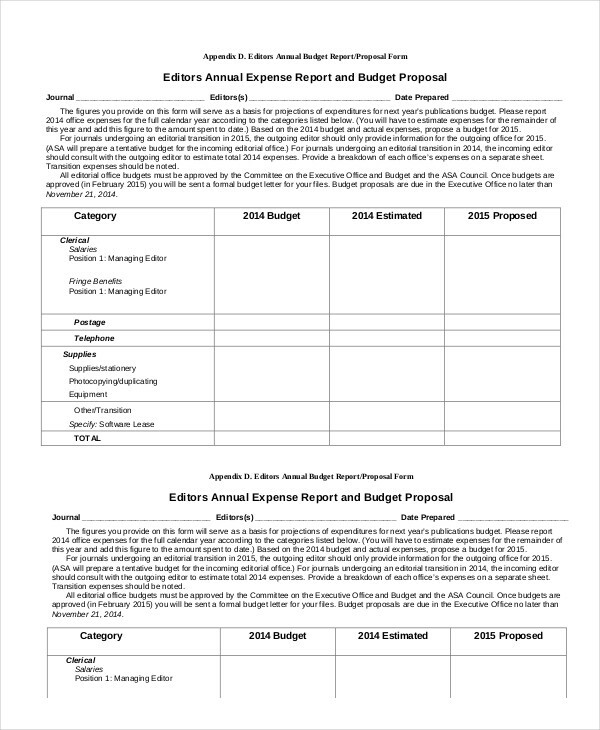 All this becomes even more relevant in the case of a Nonprofit as they are usually running on a shoestring budget, Given below are the list of 5+ Nonprofit Expense Report Examples & Templates for you so that you can make use of them to benefit your organisation. 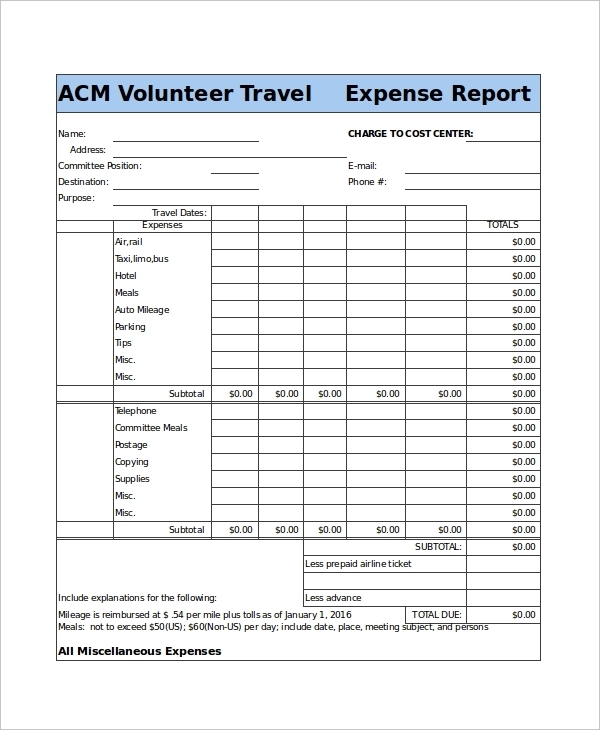 For those Nonprofits, whose volunteers travel extensively to various places for their work, this travel expense report is very useful and also very necessary to keep tabs on any unnecessary and undesired expenses. This report is exhaustive and covers all aspects that need to be under review and will make the volunteer aware of a watchful eye. This will ensure that the volunteers will get into the habit of staying frugal with the money handed to them for travel and will help keep your finances solid. It is a very simple and effective sample. It is also free to download and is printable as well. For those Nonprofits, that frequently engage in organising various events to raise money, it is important to keep a tab on the expenses incurred per event so that things don’t get out of hand. To keep a tight leash on the money being spent, it is necessary to draw up a report that accounts for the minutest of expenses incurred on an event. 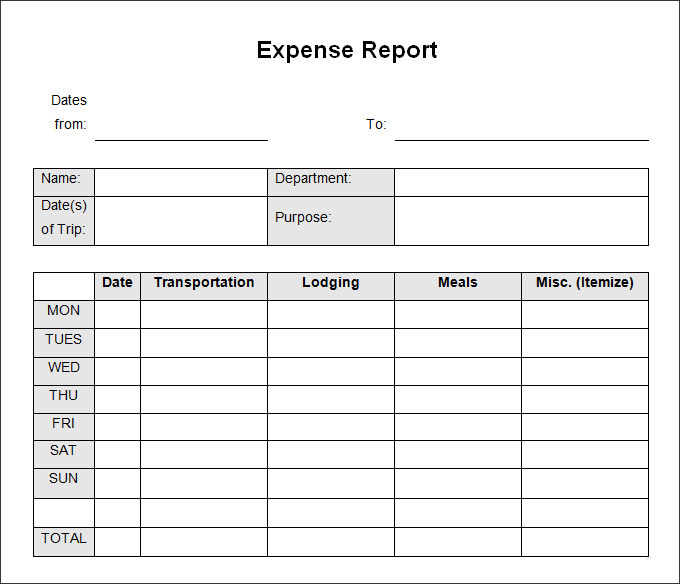 The above template is a sample of such an expense report and is very useful. It is simple to understand, free to download and is printable as well. Make use of it control your event expenses in an effective manner. It happens very frequently in a Nonprofit that their vehicles are on field duty most of the days. So it becomes imperative to maintain an Expense report in that regard. It helps keep track of expenses and also keeps the drivers and helpers in check. It prevents abuse and also helps keep track of the performance of the vehicle vis-a-vis mileage, per kilometre cost etc. The above sample template helps you achieve these goals. It is also free to download and is printable as well. 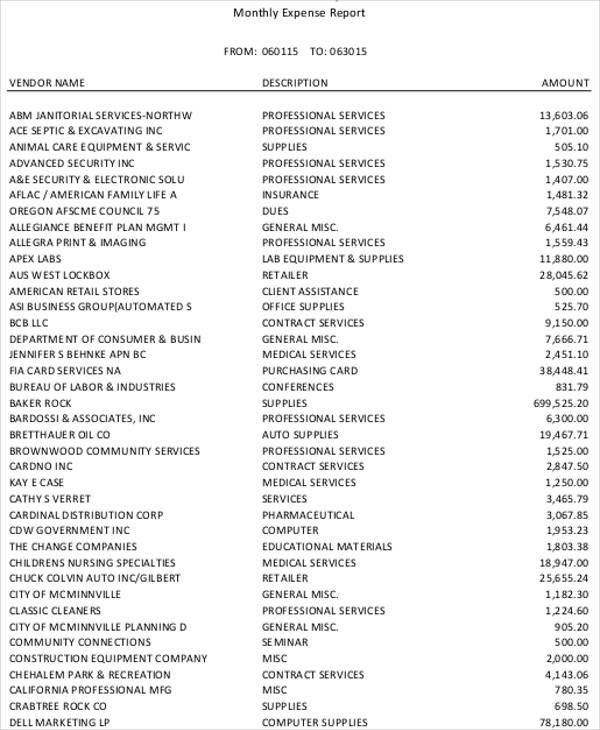 For most of the Nonprofits, it is sufficient to make an annual expenses report that will give an overview of the direction things have taken in the year gone by. The above template is an example of that and is very useful. It is simple, downloadable and printable. It will ensure you have a good overall idea of the shape of your Nonprofit. This template will ensure that when you sit for discussions about the financial health of your Nonprofit with important people(i.e the donors), then you know where you stand and what are your strengths that you can showcase to them. This will also reveal your weak points which you can start fixing before anyone points a finger at you. 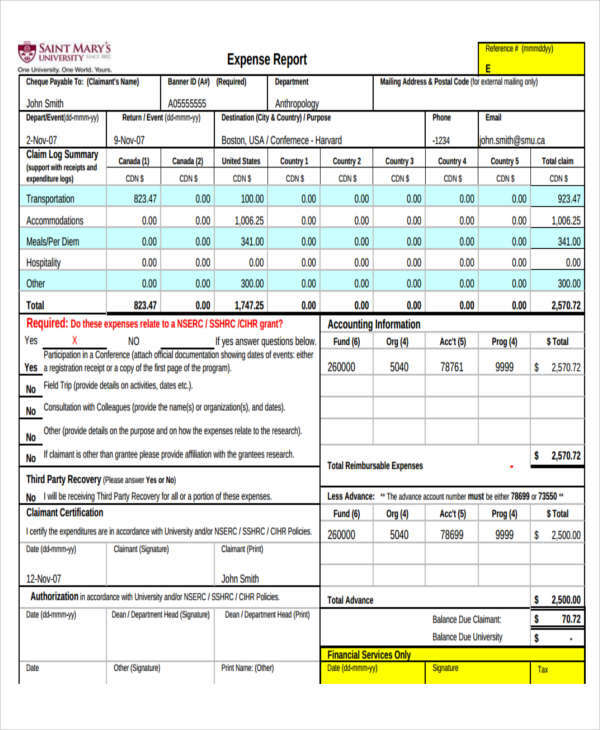 It is a generic template and can easily be adapted for your nonprofit. For larger Nonprofits, it becomes necessary to keep a tighter leash on things and for that, they are required to make a monthly expense report. The above sample is for that purpose and will help you keep tabs on the flow of money. It will accurately point out any leaks and will help you stop wastage of money. 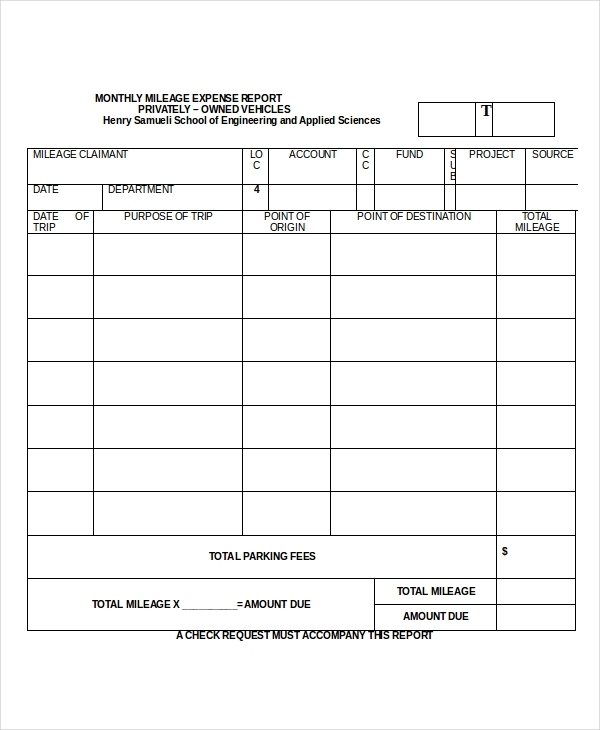 For an overall healthy annual report, making a monthly report will bolster your chances to stick to the limits on a monthly basis. Spot whatever loopholes and you can start fixing them before it poses a big loss in the annual run-up. The sample template is also free to download and is printable as well. 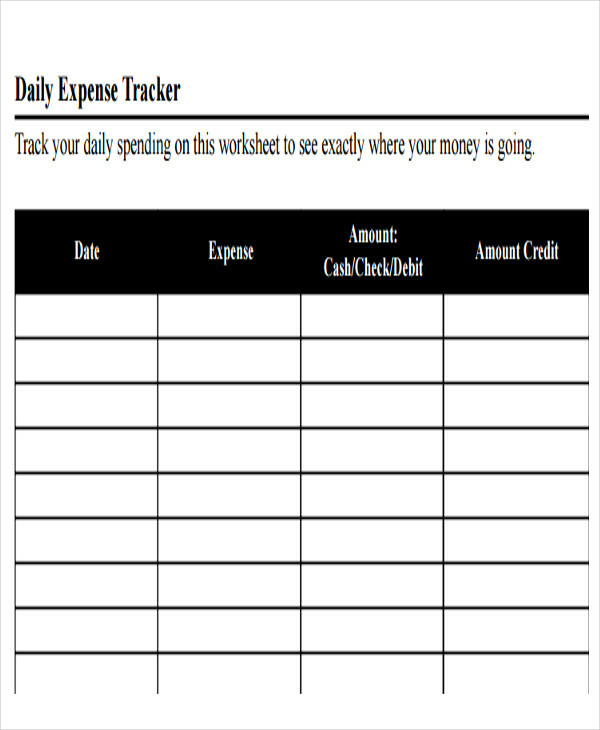 Making a weekly expense sheet helps exercise an even tighter control compared to a monthly report. It will help you ensure that money is not getting wasted in any of the various processes that form part of your operations chain. The above template is going to be of immense help in that direction if you use it. It is comprehensive and simple and easy to implement. It is also free to download and is printable as well. For truly large Nonprofits, it becomes imperative to conduct frequent checks on all aspects of the organisational structure. For that, they have to draw daily expense reports and collate that information to ensure that money is not being siphoned off or being wasted. Also, the daily reports create a sense of accountability in the minds of the members of the organisation and they are always kept on their toes about the daily expenditure that they are used to incurring. Assimilation of the daily reports ensure control of wasteful expenditure extremely effectively and leads to healthy monthly and annual reports. Also, for conducting financial analysis at the lowest level, it is a daily report that is most useful and can help reveal surprising facts that you may have been unaware of until now.